This page includes information on a range of living aids. These can be called Assistive Technology or Technology Enabled Care'. Technology enabled care refers to devices or systems that support you to maintain or improve your independence, safety and wellbeing. It tends to refer to devices and systems that assist you with memory problems or other cognitive difficulties, rather than those that are used to aid mobility or physical difficulties. The council is working with Cross Keys Homes to provide LifeLine telecare solutions. Cross Keys Homes operates a LifeLine emergency alarm and telecare service. This service has successfully supported people to remain independent in their own homes, in sheltered and extracare housing and also in supported living. LifeLine is a lightweight pendant worn like a necklace or around the wrist. It also comes with a base unit that connects the pendant to the phone line. Telecare sensors use the telephone landline to automatically raise an alert to the monitoring centre where named responders/key holders or the emergency services are called. More information on telecare can be found on the Technology Enabled Care Descriptions page or by contacting the Adult Early Help Team on 01733 747474. 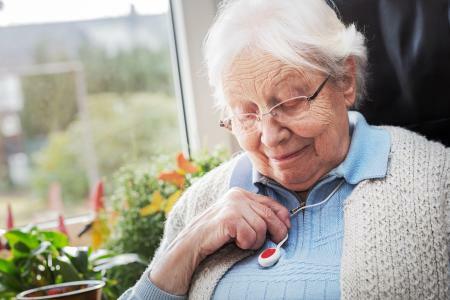 Telecare is a system of sensors used to help monitor a person’s environment and behaviour in their home or community and identify where they might need help or support. The devices can be anything from a basic alarm system to sensors to alert someone if a person has left their home or may have had a fall. The sensors are connected to a 24/7 response centre. The response team can provide advice and support and importantly take action, whether that be deploying the emergency services or alerting a family member. 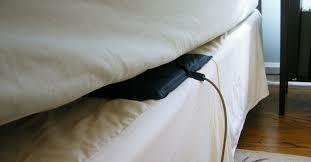 'Standalone' are devices that are used within the home and are not linked into a central alarm system. They rely on the individual or carer's ability to be able to use them and respond appropriately. They range from the very simple to to the more high tech solutions eg day/night clocks, medication prompts, chair and bed sensors, automatic lights, pagers to alert carers and door contacts. Smart meters are the next generation of gas and electricity meters. Together with their accompanying in-home displays, smart meters will help you keep track of the energy you use in your home, and will cut out the need for meter reading. The UK Government plans for every home and business in the UK to have a smart meter for electricity and gas by the end of 2020. 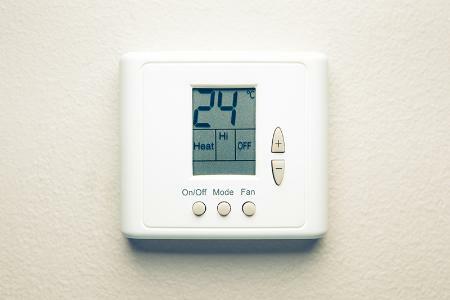 Smart thermostats are a new type of heating control which connect to the internet, allowing them to be accessed and adjusted remotely. They can give you much greater control over your heating, from wherever you are, at any time of day. There are a range of different smart heating controls currently on the market - each works slightly differently and has different features. A smart plug is a device that plugs into an ordinary socket. The device itself has its own outlet, so in a sense it's like an extension. Instead of plugging your lamp into the wall, you plug it into the smart plug (which is itself plugged into the wall). The benefit is that the smart plug can be controlled remotely, whether by using a home automation smart hub or connecting to the smart plug with the relevant mobile app. Some plugs are even programmable so that they automatically turn on or off depending on certain timers or events. Video calling is a means for people to keep in touch with each other, particularly if family and friends are not local. To be able to make a video call you will need a telephone with a video display, capable of simultaneous video and audio for communication in real time. This is particularly useful for people who are deaf or speech impaired, who can use them with sign language. This can be used to promote social inclusion and enable individuals to communicate with family and friends. 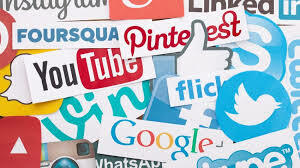 From online personal support networks to meal sharing initiatives, social media can promote independence, reduce social isolation and address the issue of digital exclusion among disadvantaged groups, enhancing their overall well being. Social media can be accessed from Smartphones, tablets, laptops and computers. These are health and fitness devices worn on the body to monitor vital signs such as blood pressure, heart rates, body temperature, steps walked and sleeping patterns. 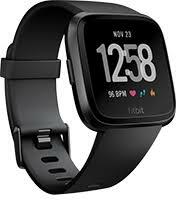 They are not only worn for medical reasons – they are increasingly popular with people tracking their fitness – but they can help people manage long term conditions. Mobile devices and apps are increasingly being used to monitor health, wellbeing and fitness. Apps can be downloaded to monitor a variety of issues including, but not limited to, food intake, mood, advice on public health (for instance giving up smoking) as well as linking with health devices to monitor blood pressure and weight. Apps can also be used to access information and advice and services offered by the NHS, local authority and other providers. 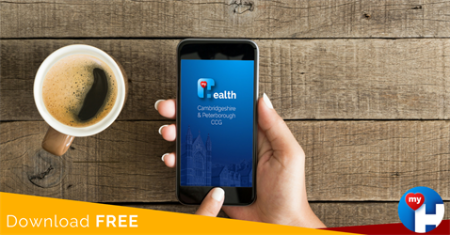 A new app to help people find NHS services in the Cambridge & Peterborough area has been launched by Cambridgeshire and Peterborough CCG. The app is designed for iPhone and iPad and you can download it from the Apple app store. The app provides up-to-date information about the locations and opening times of a range of health services in the area. It will show you services which are currently open, and also services which are currently closed, but that will open soon or the next day. Where a service has multiple opening times in a day such as morning and evening, two entries will appear as a choice for users. The Assistive Technology (AT) service identifies devices and equipment that can assist individuals and support their carers. AT plays an important part in preventative measures to manage or minimise risk, including personal safety, home safety, falls prevention and medication management. It supports carers by providing reassurance, peace of mind and reducing stress so they can better manage the demands of their own home and work life alongside their caring role. You can ask for a referral to the Assistive Technology service by calling Peterborough City Council on 01733 747474. LifeLine telecare equipment is owned, provided and monitored by Cross Keys Homes LifeLine. All calls to LifeLine are recorded to help us to provide training to our employees, to review the quality and consistency of our responses and to provide our customers with protection through an accurate record of events. All data is held under the provisions of the current Data Protection Act. If you contact us, we will usually keep a record of this. We have a duty to keep full and accurate records of the support we provide to you. We also have a duty to keep records about you confidential and secure. If you wish to discuss any of this advice with us, please contact us on 01733 747474. The information on these webpages relating to providers of services is for general information purposes only. It does not purport to provide advice or make any offer and does not guarantee the quality of the services. 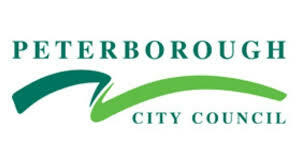 The information has been supplied by the providers and has not been checked by Peterborough City Council, (“the council”). In particular, the council has not verified any information pertaining to the requirements of the disclosure and barring service, nor has the council carried out any such checks against any of the providers listed. There may be other providers serving the area whose details are not included here. You can find a range of equipment and assistive technology on our Equipment and Living Aids page.